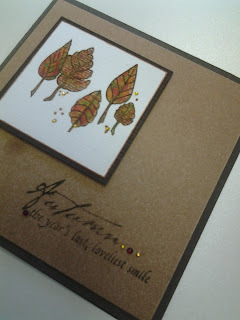 Another card from SUZANNE where the main focus is the sentiment! Leaves are stamped onto vellum. And I love the words on this card by SUZI B. The colours too, are just so perfect for me! Sale on at the moment. A selection of stamps both wood mounted and cling. Also, a selection of other bits and pieces - mostly half price. Once you start you cannot stop. It's good for the soul. 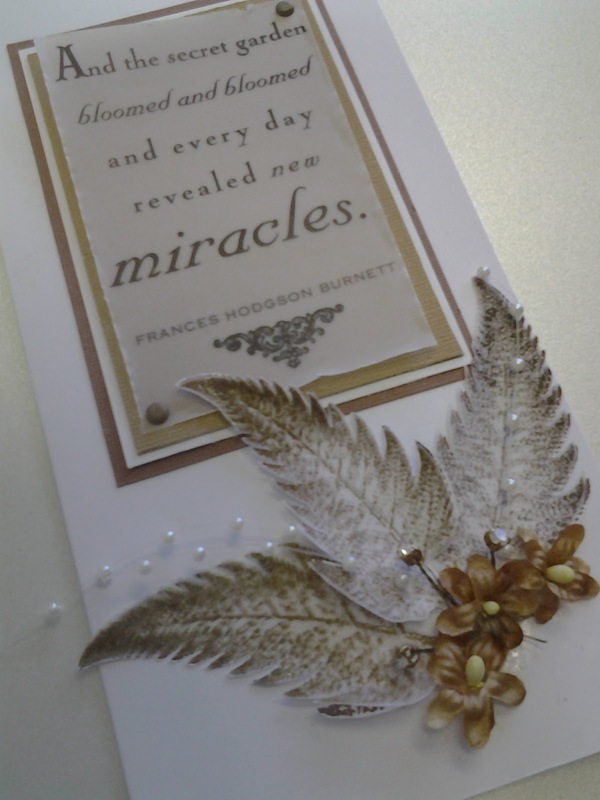 New distress ink pads arrived but are selling fast. Don't miss out! The travelling canvas has started it's journey. I hope it turns out as good as the first one. 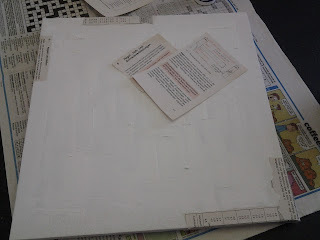 I have started it again by adding gesso and then adding magazine and newspaper text around the edges. It could be your turn soon to add your own touch to the canvas!